Northern Voices: Cosmetics chain closes campaign alleging intimidation by ex-cops! Cosmetics chain closes campaign alleging intimidation by ex-cops! 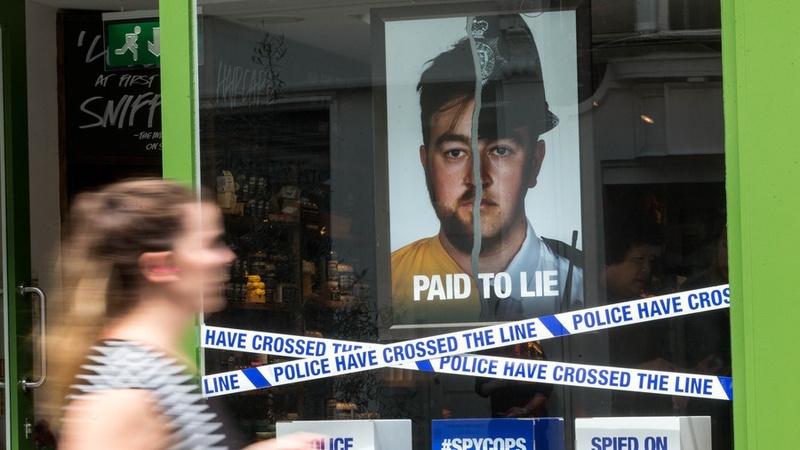 A campaign to highlight the misconduct of undercover police spies, launched by the cosmetics retailer 'Lush', has been withdrawn after just one week after the company alleged that some staff in its 104 stores, had been threatened and intimidated by former police officers. The retailer who removed the displays from its store windows last Thursday, said it needed to protect its staff for safety reasons and that some of its branches had removed posters following, "intimidation of our shop staff from ex-police officers and unhelpful tweets from those in high office." It has been alleged that people disliking the campaign have been going into stores and intimidating staff to force them to take down the display. Yet many members of the public have supported the campaign. Two former wives of undercover police officers offered their support as well as the son of a police spy who abandoned him and his mother. The Lush campaign was criticised by the home secretary, Sajid Javid, for being anti-police, poorly judged and potentially damaging to large numbers of officers who had nothing to do with the alleged wrongdoing. In a letter to the Guardian, the two former 'spycop' wives, said the Lush campaign had done more to publicise the issue in a weekend than a public inquiry had done in three years. 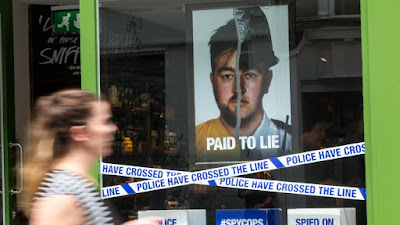 Costing more than £10m so far, the inquiry into undercover policing led by Sir John Mitting, was due to conclude this year but will not hear any evidence until June 2019. A spokeswoman for 'Police Spies Out of Lives', said: "We condemn the sort of threats that some Lush staff have experienced in the last few days." David Smith of the Blacklist Support Group (BSG) said that the displays had "been blanked out due to threats to staff." He added: "All workers are entitled to a safe working environment - intimidation, abuse and threats, are totally unacceptable."